Koirin Azalea Centre are specialist growers of azaleas and rhododendrons. 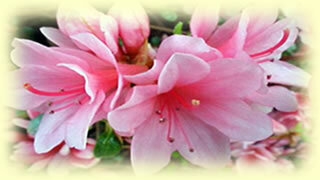 We opened in 1997 offering a wide range of azaleas and rhododendrons. We have been growing azaleas and rhododendrons since 1982 for landscape companies where our plants were mainly used in japanese garden construction. The Nursery has now been expanded due to the great demand of these wonderful spring flowering shrubs. We grow a wide range of evergreen and deciduous azaleas, and a large range of rhododendrons. All plants are produced and grown at our nursery and are of high quality, are also very hardy as they are all grown outside. Within our collection there are rare and unusual variety's which are being added to on a regular basis. We believe you will be impressed by our range of azaleas and rhododendrons, magnolias and unusual shrubs.